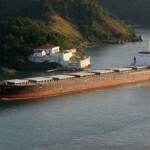 Dry bulk shipowners are heading toward 2016 with the prospect of one fewer cargo option on the key loading region of the US Gulf Coast, as new environmental legislation introduced by Beijing this summer could mean China will no longer be importing petroleum coke, or petcoke, from the USGC. 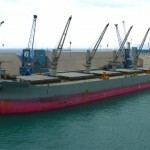 As a result, shipowners are now left weighing alternative options, with some market players pointing toward Indiaâ€™s growing appetite for petcoke, while others are examining whether regions exporting low sulfur petcoke, such as the US West Coast, could compensate for the loss of the USGC-to-China petcoke routes by stepping up production. New environmental legislation introduced by Beijing in August, which could take effect January 1, intends to establish a sulfur content threshold at either 3% or 5% sulfur for the petcoke China consumes. Regardless of where Beijing sets the sulfur content threshold, nearly all of the mid- and high-sulfur petcoke out of the US Gulf Coast will be shut out, a petcoke market source said. â€œMid-sulfur 4.5% to 5% sulfur petcoke will have no value in China,â€ the source said. This scenario comes not long after US non-calcined petcoke exports to China peaked at roughly 7 million mt in 2013, but dropped to 3.8 million mt in 2014, according to the US Census Bureau data. The country has imported 2.6 million mt of fuel-grade petcoke through September, down from 2.9 million mt during the same nine-month period in 2014 and more than 5 million mt in 2013. This decline has been attributed to high petcoke inventories in China, while tight credit and poor performance across all of Chinaâ€™s economic sectors also played a role, sources said. Though Beijing has not yet established a sulfur content threshold for the petcoke China consumes, Chinese inquiry for it on the US Gulf Coast, which exports mid- and high-sulfur petcoke, has dried up since end-summer, according to shipping sources. While petcoke traders are still waiting to see what will happen, many buyers are finding cheaper coal on the global market and halting petcoke orders that could potentially run afoul of the new regulations. This decline in Chinese petcoke demand, allied with a buildup of tonnage seen in the North Atlantic since September, has been reflected in freight rates on the USGC-to-China route. For example, the rate for carrying a 50,000 mt petcoke stem from Houston, Texas, to Qingdao in northern China saw a gradual drop from a summer high of $33/mt between August 18-24 to $25.50/mt by mid-October, where it has lingered ever since. 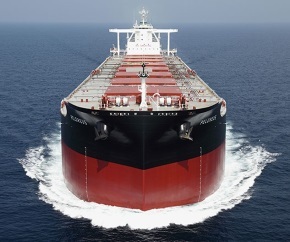 With a China-shaped hole developing in the USGC petcoke freight market, shipowners are now considering alternative shipping options, and India is the country that immediately springs to mind. In contrast to China, Indian demand for petcoke is expected to grow in coming years, with Italian shipbroker Bancosta saying it expects India to be importing 10 million mt/year by 2017. US exports to India have already begun to surpass exports to China, with 4.3 million mt shipped in 2014, according to Census data. Of that, roughly 3.3 million mt originated from the USGC. But according to another broker, India â€œcoming to the rescueâ€ of USGC petcoke producers and shipowners will come at a cost for them. Indian demand also could increase as high sulfur petcoke production from China, which is a major supplier to India, is eliminated, a US petcoke trader source said. But while Indiaâ€™s growing appetite for petcoke is good news for shipowners, it comes with a downside, according to shipping sources. 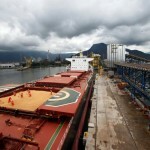 â€œIf youâ€™re a shipowner, India is not the best of places to head to. There are very few loading options in India, while there are plenty of things to pick up in China and Japan,â€ a shipbroking source said. While pending Chinese regulations likely mean that USGC petcoke will no longer head into China, demand for low-sulfur (less than 2%) petcoke out of the US West Coast could soar as a result, petcoke sources said. â€œIf they come in at 3% or less, youâ€™ll see a huge boost in prices,â€ one USWC refining source said. Because petcoke is a byproduct of the refining process, however, sources do not expect increased low-sulfur petcoke production as a result. Three refineries â€” ExxonMobilâ€™s Torrance, Shellâ€™s Martinez and Tesoroâ€™s Golden Eagle, all in California â€” produce roughly 2.5 million mt of the low sulfur petcoke that would meet a greater than 3% restriction by the Chinese, a USWC petcoke source said. Those refiners will not likely increase production even though prices could shoot up. Less than two months away from the expected start of regulations, Chinese buyers already are dropping demand, petcoke and shipping sources said. Buyers also are adding requirements that any petcoke arrives before January 1, a petcoke trader said.